With fair winds, stunning bays, sheltered anchorages, magnificent scenery and numerous ancient sites along the coastline, a holiday sailing through the Turkish Islands is perfect and Marmaris is an ideal starting point from which to begin your sailing holiday in Turkey. 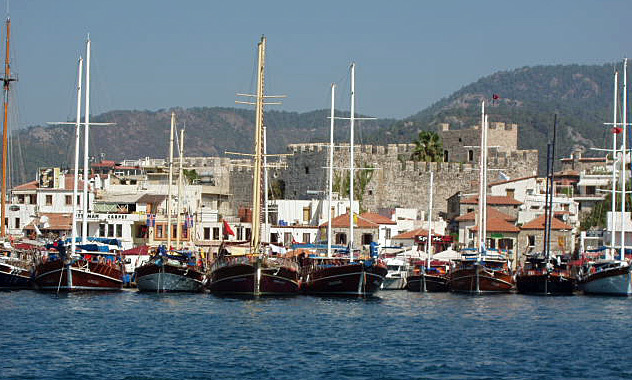 Marmaris town is very historical and is built adjacent to the Suleyman Castle. The winding streets around the fortress contrast with the bustle of the bazaar behind it. 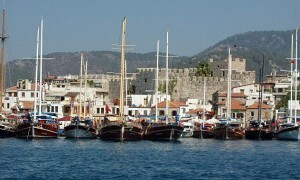 Turkish gullets line the town waterfront, offering day trips to various beaches and dive sites. The location is to die for, a beautiful bay that is peaceful & well protected from winds in all directions, none of the racket from Bar Street, none of the loud music from nearby restaurants – best of all it is still only 20 minutes drive into town. Needless to say the Marina still has all the usual facilities; toilets & showers, electric & water on the dock, supermarket and restaurant. So now not only do you get the stunning view over the bay but you can also dive off the back of the boat into clear blue waters – and for the more choosy there is still a swimming pool (and a gym!). 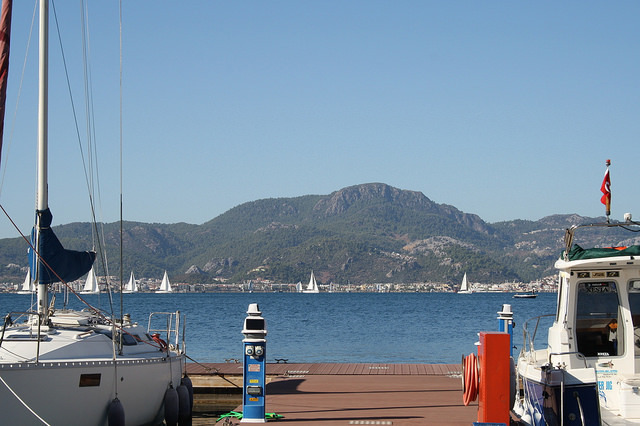 Marmaris is ideally located for a sailing holiday, right in the middle of the sailing area halfway between Bodrum & Kas, this provides you with a myriad of sailing choices, so to assist in planning your holiday we have prepared a few sailing itineraries. These routes are only suggestions & feature just a few of the many stops that you can visit. We have varied the stops to give you more of an insight into Turkey. In between these stops you can arrange some short distances, with bay hopping & lunch stops. As you sail the coast, you will find that many of your overnight stops contrast and complement each other. Your own route – We have been sailing this area for years and consequently are supremely qualified to assist you in planning your sailing itinerary. We will ensure you maximize the enjoyment of your sailing holiday with daytime and evening destinations that ensure you have the opportunity to visit all of the places that might be of interest to you. One evening you could be enjoying the quiet solitude of a remote bay, followed by an evening of hustle & bustle in a small busy harbour, with a rich choice of restaurants & nightlife. We will give you a full sailing area briefing when you arrive in Adakoy. The charter offer is valid for sailing in Turkish waters. If you wish to sail in the Greek Islands we will require prior notice in order to complete the required paperwork. We will organise this for you in Turkey and through our agent in Greece. Please be aware that there will be an additional cost for custom clearance.